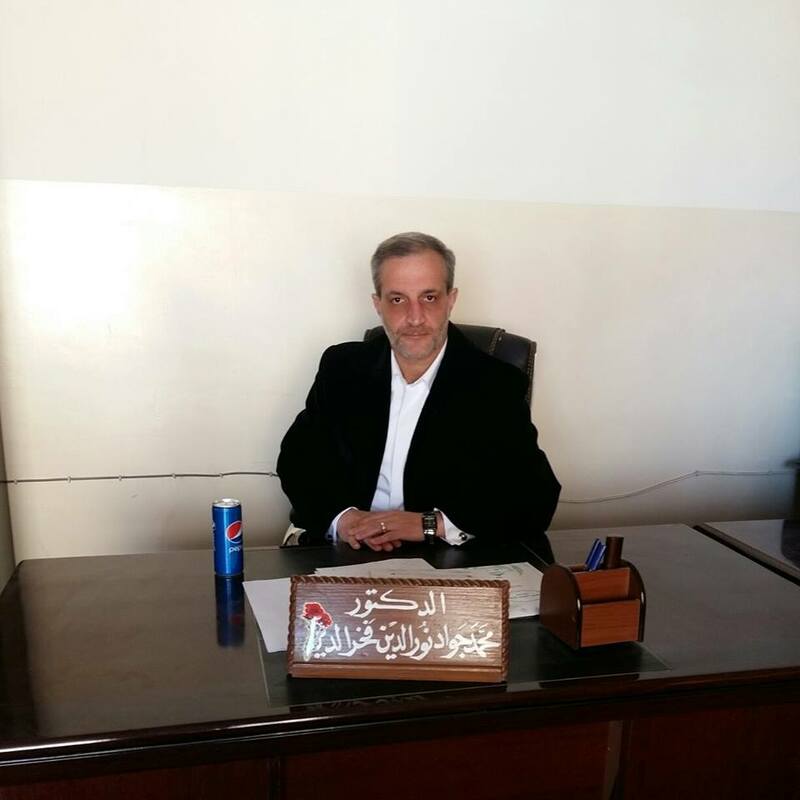 Name: Mohammad Jaصad Noureddine Fakhruddin Nascent: 1971 University degrees Bachelor of Arts Faculty of the University of Kufa, 1996 Master of Arts Faculty of the University of Kufa, 1999 PhD Faculty of Arts, University of Kufa, 2008 Academic Title: Assistant professor in 2009 Major: Islamic history Specialization: Islamic Thought Theses addresses: Master: A History of Najaf in the Abbasid period in 1999. PhD: position Ahlulbait of hyperbole and precious difference until the death of Imam al-Sadiq (AS). Research Interests: 1 investigation and study of manuscripts. 2 collection of historical documents and studied. 3 study of coins. 4 interest in the study of cultural and historical aspects of the city of Najaf. Teaching interests: 1 Islamic thought. 2 Islamic beliefs and teams. 3 history of cities. 4 of Islamic history at all historical stages. 5. Date of Najaf. Cultural and professional activities One member of the Union of Arab Historians. 2 lectured at the Faculty of Education at Muthanna Muthanna University. 3 lectured at the College of the Ministry of Education in Najaf open education. 4 investigator in al-Bayt Foundation for Heritage Revival. 5 participated in some of the seminars and conferences held in universities in the country. 6 committee member of the Central Committee to prepare Heritage Najaf, the capital of Islamic culture. 7 cultural body in the College of Education for Girls in the Department of History. 8 edit Humanities magazine issued by the College of Education for Girls director of the University of Kufa. Literature printed and manuscript: 1 Join Najaf until the end of the Abbasid era. Printed twice Dar Rivers Beirut 2006. Printed in Baghdad by the Institute of El Alamein in Najaf. 2 Mohammed Hussein detector cover in the national and pan positions. Manuscript. Books achieved: 1 luxury councils in the funeral pure strain of Mr. Abdul Hussain Sharaf al-Din. Print Arif Dar Beirut 2004. 2 Office of Mr. Mahdi Bahr al-Ulum joint .thakiq. 2006 specialized literary library. 2 white-Durrah in explaining the speech Fatima Zahra to Mr. Hadi goldsmith. Print Najaf 2003. 3 disadvantages in the darkness of the abyss of Sheikh Muawiya Hussein Nouri. Print Najaf 2002. 4 unveiled the virtue of Sadat reproduction of Mr. Hussein Archon. Print Najaf 2006. 5 in order to the student in the case of Abu Talib Sayed Mohammad Bin Haider world. Published in the Journal of heritage, then the year 2010. 6 important supplications for Mekdad Siouri. Manuscript. 7 Manual say the signs of the Mahdi Ibn Hajar al-Haytami. Manuscript. 8 Platform right and certainty in preference to the faithful on the rest of the prophets and messengers Crown bin al-Husseini al-Haeri blessing. Manuscript. Research and articles published and manuscript: 1 Humaid bin Muslim Azadi Mroyate historical and critical reading. Magazine Yearbook Forum 2012. 2 Al Pumpkin political, administrative and intellectual role. The magazine published the Islamic University in 2012. 3 close study of the city in the early Islamic sources and the views of the Orientalists. Etiquette Kufa magazine Humanist 3012. 3 Seljuks and their role in fueling sectarian nerve in Baghdad. Magazine springs. 4 historical and cultural links between Najaf and bewilderment. Magazine springs. 5 Ambassador of Imam Hussein (AS) to Kufa Abdullah bin dripping Humairi. Magazine springs. 6 Hind ibn Abi Hala his life and his role in the events of his time. Magazine springs. 7 the plight of the Imam al-Tabari in light of his conversations Ghadeer Khum .. 8 Sweden bin heedless of his life and historical Mroyate. in progress. Workplace: University of Kufa / Ministry of Higher Education and Scientific / Republic of Iraq and the search He taught history late Abbasid eras. And manuscripts Teaching in the College of Education Department of History, University of Kufa, since 2005 until now.